A conservatory is probably one of the biggest spends a household can make, which is why it is important to get it right first time. We build PVC conservatories, timber conservatories and aluminium conservatories throughout Staffordshire. 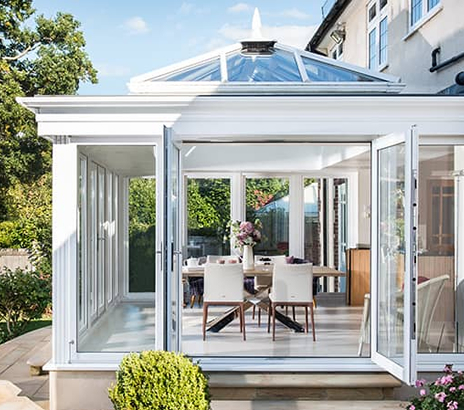 Choose between a poly or a glass roof for your PVCu conservatory. We install any type of conservatory you desire, from p shaped to the adorable orangery. Available with a range of added extras like under floor heating and a poly or a glass roof. Contact us today for a no obligation quotation for a PVCu conservatory in Cheshire and Staffordshire.